Outsourcing meant for those Entrepreneurs and Business owners who understand that they can make profits with virtual teams rather than blocking their money on maintaining infrastructure or getting into hassles of operations and people management. Despite of known pros and cons of outsourcing, these entrepreneurs prefer to choose an outsourcing partner through which they can accelerate their revenue growth, focus on marketing and keep them upgraded all the time on latest technology updates. There are many suggestions, reviews, company experiences etc. available on internet that one can read and think through while deciding on outsourcing vendor. 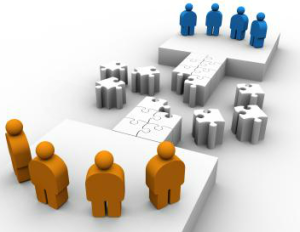 However, none of them guarantees that you will choose the right outsourcing partner. There are no well-defined means or tools available, which can justify that your selected vendor can deliver on time without compromising the quality and hurting budget. Find out how your outsourcing partner can help you in increase the value addition to your customers without increasing the cost and stretching time-frame. They should be able to recommend ideas, way to optimize the solution etc. It is MOST important to know what quality measures the vendor has. 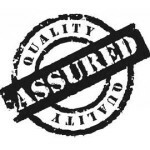 How they assure that they have proper QA process, methods and tools within the company. Will they be charging extra for tools? How understand the business flow and log the relevant bugs etc. You will not like your business ideas, files or any data publically available or used for other projects etc. It is imperative that you find out what security measures vendor take to secure the data without any exceptions. It is worth to find out the experience and expertise of the vendor. What kind of customer they have supported, industry they have catered, projects they have worked on, which technology they have expertise in and what their current customer have to say about their services. They should also be open to share the example and sample of the work they did in past. If the vendor is new, it is worth finding out how trustworthy they can be and how they can support your project, what experience they are bringing in at individual level. Find out whether business goal and aims of yours and your potential offshore development partner are same or not. It is important to find out how flexible vendor is when it comes to adjusting urgent support requirements at odd hours, supporting in your time zone, any hidden cost, open for discussion with developers etc. Management of vendor should be open for making changes to the team in professional manner, without affecting the productivity as and when require. Find out how vendor keep their resources motivated, what HR policies they have in place to secure the knowledge transfer, what is the attrition rate of the company, how they develop the skill set of resources and how much experience resources have who are supporting your project etc. There are many other tips and methods available over net. One could easily spend good amount of time and prepare a big checklist for vendor selection. However, there will always be one question – how will you believe that information which you collected is CORRECT? Selecting an offshore development partner is not that easy as it sounds and definitely, it is not a “go with your gut” task. As a decision maker, you need not evaluate every step to make outsourcing a stress-free and successful process. Sales consultants at Globality consulting work closely with entrepreneurs and decision makers and help them to connect with right solution provider by acting as bridge between them and saving their valuable time which they earlier used to spend on searching offshore development partner, validating their credibility and monitoring the development on day-to-day basis. You can connect with one of our consultants at hello@globalityconsulting.com for more details. This entry was posted in IT Industry, Outsourcing and tagged Data Security, How to Choose an outsourcing partner, Human Resource Management, IT solution providers, IT vendors, outsourcing, outsourcing in India, Outsourcing Partner, outsourcing tips, Post development support, pros and cons of outsourcing, Quality Assurance, successful outsourcing, Value addition on July 6, 2013 by Globality Consulting. Success of outsourcing has always been debatable from the day of its existence. Every business owner who is willing to outsource their software development requirements to IT solution providers in India or any other developing country will always evaluate the pros and cons of outsourcing process. In today’s aggressive competition businesses face huge cost pressure and outsourcing their IT project management and development requirement becomes a natural option for cost effective operations. There are several research reports in market which portray more complex picture of outsourcing wherein organizations are not very satisfied with their current contracts or they are losing confidence in one or other projects. Few of them are considering renegotiating their existing outsourcing contracts or changing the outsourcing partners. It is really important for business owners to understand the possible pitfalls in outsourcing and how to decide the aces and ploys of outsourcing. Most important factor which business owners enjoy is the cost efficiency in getting their strategy executed. Lower labour and operation cost makes IT leaders a natural supporter of outsourcing. Business owners can focus on core activities of their business such as making new strategies to gain new market, sales and marketing activities etc. instead of worrying about their non-core activities. Huge reduction in maintaining infrastructure cost and headcount which incurs while maintaining non-core activities. Outsourcing can help you in streamlining the finances and cash-flow in a focused and with well-defined strategy. Turnaround rate of deliverable is topped up with offshore workforce teams and you can align your resources for working on more projects. Outsourcing IT services enables business owners to save money on investments on technology and developers and allows them to spend that amount in hiring resources related to their core functions. Round the clock support and access to workforce for 24/7. It provides flexibility to realign the resources according to needs and help business owners to focus on gaining new clients. The biggest risk in outsourcing is the security of data and information. Lack of proper NDA and other agreements have resulted in leak of information’s and sensitive data. Quality is a major concern and business owner’s end up spending a lot on deliverables which are not up-to the mark. This generally happens when the outsourcing vendor is not experienced or there are no quality processes. At times business owners end up losing control on the operations and deliverables of the outsourced tasks. 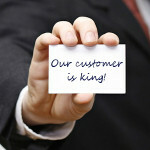 Lack of defined SLA’s is also one of the main disadvantages of outsourcing. It is always recommended to have detailed SLA’s and cover each and every aspect of business unit to avoid any disappointments at later stages which either can be related to hidden costs or missing features from the deliverable. Putting all the eggs in one basket does increase the risk of outsourcing failures. If you are associated with only one software vendor and that vendor goes bankrupt or due to some policy changes they ask to redefine the agreement, you might not enjoy it. Communication and management of tasks in different time zones is another possible issue which business owners faces when they outsource their software and IT project management services. Trust factor plays important role. It gets worst when business owners noticed lack of transparency from team working on outsourced tasks. It could be due to number of projects offshore team is handling or real experience of resources who are assigned to the projects. 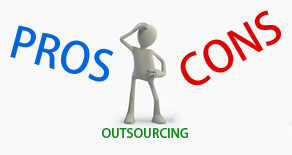 These are only few of the pros and cons of outsourcing software services. Multiple issues may crop up without the clear understanding on projects, objectives etc. Maintaining transparency through project status, regular calls between client and offshore teams are the few main factors which define the outsourcing relationship. 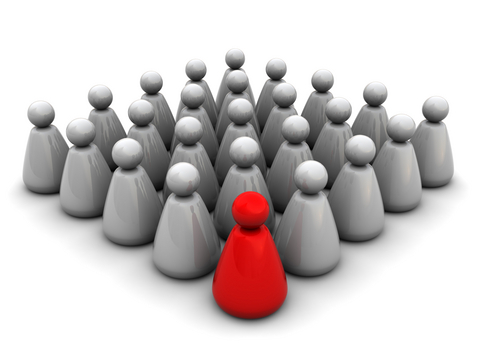 Business owners can easily avoid all these pitfalls by choosing the right offshore partner. It is really important to organizations to review and short-list the solution providers, follow the essential steps for stress-free and successful outsourcing very carefully and align their goals and objectives before giving the contracts. 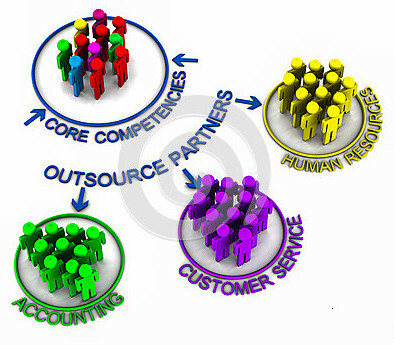 This entry was posted in Outsourcing and tagged Client Communication, core activities, cost efficiency, Future of Outsourcing, IT solution providers, Offshore, outsourcing, outsourcing in India, outsourcing tips, pros and cons of outsourcing, Software development requirements, Software solutions, successful outsourcing, Tips for outsourcing on June 15, 2013 by Globality Consulting.